For Crysis 3, the past year has involved a lot of performance and memory optimization work on many areas and for all platforms, as well as work on the rendering side. One of our big goals was to improve image quality, and a lot of work went into developing several DX11 based anti-aliasing techniques for PC, which means gamers will now be able to pick their favorite—this is relatively involved on a deferred-based engine, since it involves selecting every technique and accessing multi-sampled buffers, versus the usual “flip the switch” approach. On top of an improved tessellation system we’ve also introduced character/vegetation tessellation—and since tessellation performance was still not optimal for the level of detail we wanted to achieve, we also did research into different areas and introduced what we called “Pixel Accurate Displacement Mapping” for macro details with nice real-time self-shadowing. 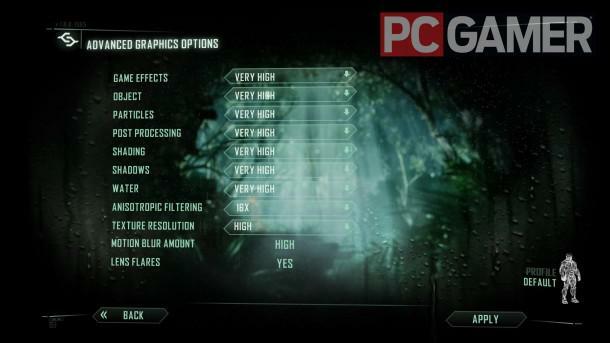 So PC gamers prepare your rigs for one of the most powerfull and performance hungry ever made to hit your computer next year, BTW check out our article with system requirement for Crysis 3 PC.